The Gilded Wolves by Roshani Chokshi is the first fantasy book that I read with Filipino rep and it makes me so happy to see familiar words like La Solidaridad and Jose Rizal. 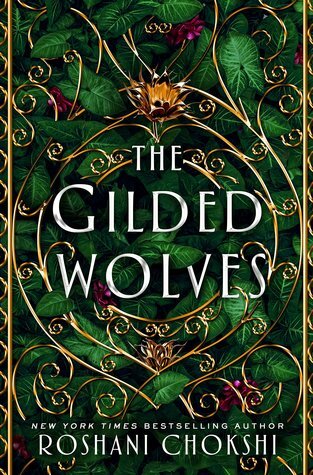 I started reading The Gilded Wolves without knowledge of the premise of the book and I think it is one of the good things because it surprised me more than I thought. Although the book started slowly for me since I couldn’t move on yet with my Brandon Sanderson binge reading. However, things started escalating once I get to know the characters. Chokshi was able to put different personality among her characters. There are hidden flaws, unspeakable idiosyncrasies but despite them having these traits – I come to like them as they seem to be more like a human being more than a fictional character. And that’s a rare talent to pull off. If I am going to describe the novel, it would be thrilling, unexpected, courageous, and brilliant. It definitely shows the different sides of the characters. Severin’s mysterious and yet commendable leadership. Hypnos’ witty and remarkable remarks with alertness. Enrique’s humor and vibrancy to contrast the team. Zofia’s love for Math and anything in between. Then Tristan’s love for his spider and being vulnerable and yet supportive. And lastly, Laila, who captured my heart with her intense, sizzling dances and unexpected moves. In short, I like that the characters have their own personalities, that they have their own distinction. Roshani Chokshi captured me with her lyrical and poetic writing style that I didn’t see coming. This book is not just a novel. It is a complete art where research, history, magic, and words collide with each other and produce a craft that the readers will love. And this book screams DIVERSITY. I believe the greatest lesson that we could learn from reading The Gilded Wolves is that no matter who you are, no matter what race nor upbringing, no matter where you came from. People make mistakes. Your opinions might be different from their opinions. And despite everything, a group of people with different background can be together and respect each of their own perspectives even if they have an opposite stance. The Gilded Wolves is the proof that people can be united if they choose to, that we can be better if we decided to, and that we can be kind as we choose to support each other. 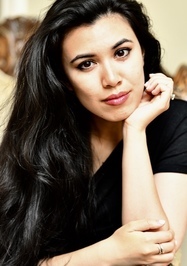 Roshani Chokshi is the New York Times bestselling author of The Star-Touched Queen and A CROWN OF WISHES. Her middle grade debut, ARU SHAH AND THE END OF TIME, released April 3, 2018 from Disney/Rick Riordan Presents. The sequel, ARU SHAH AND THE SONG OF DEATH is slated to release April 30, 2019. Her next young adult novel, THE GILDED WOLVES, is slated for January 15, 2019. Chokshi’s work has appeared in Strange Horizons, Shimmer, and Book Smugglers. She was a finalist in the 2016 Andre Norton Award and the Locus Top Ten for Best First Novel. Her short story, “The Star Maiden,” was longlisted for the British Fantasy Science Award. Hello! I loved your review. Thanks so much for linking mine!